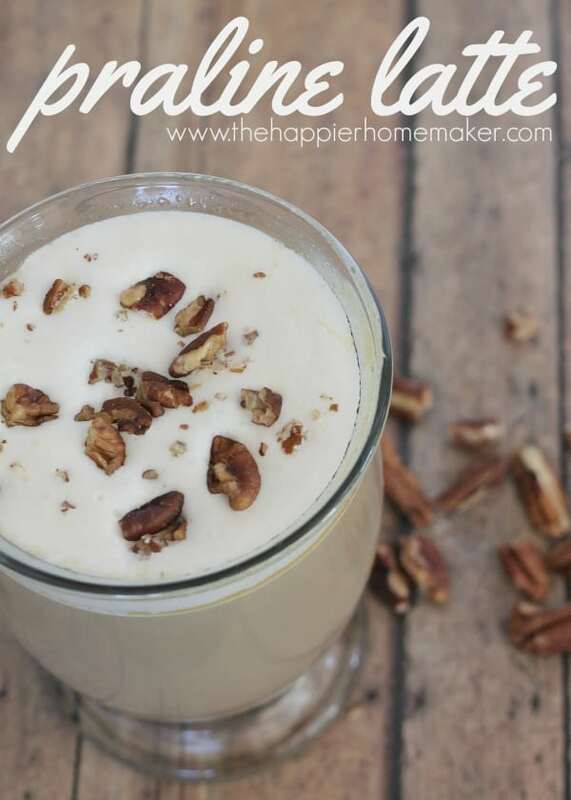 I’d collect pecans and then sit with my grandpa cracking the shells all evening…I just love pecans. Then we’d get to the fun part-eating them! My grandmother would bake an insanely good pecan pie, my grandpa loved to eat them raw, and we’d sugar them too. 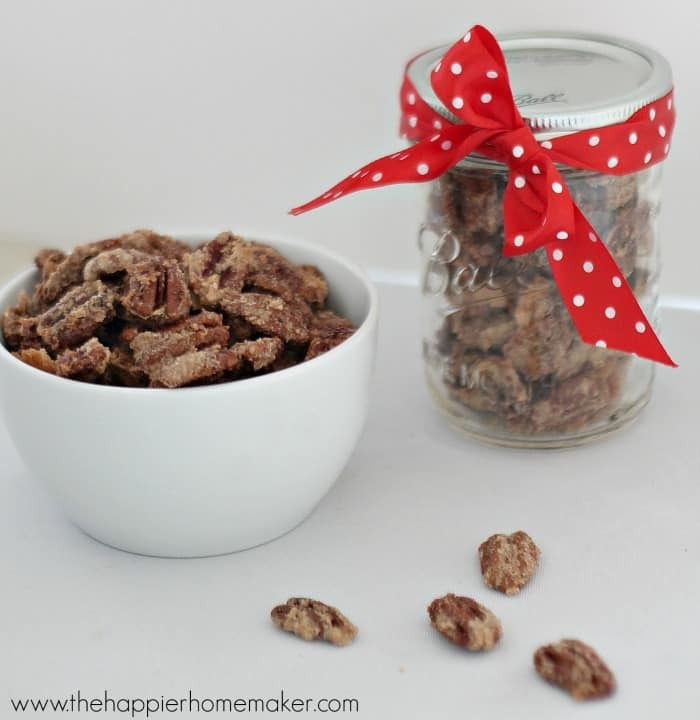 The sugared pecans make great gifts all packaged up in mason jars and I thought I’d share the easy recipe with you today! Preheat oven to 275 degrees. 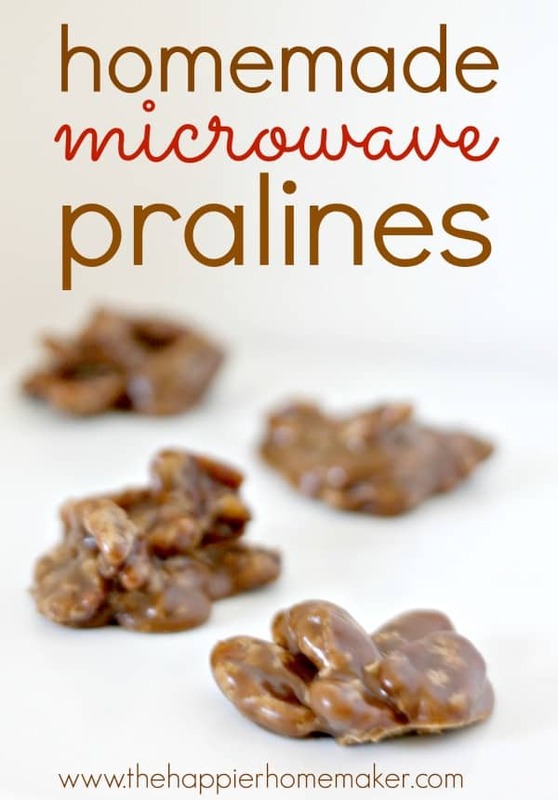 Line a cookie sheet with parchment paper or spray thoroughly with nonstick spray. In a small bowl combine egg white, water and vanilla. Whisk until frothy. Put pecans in a large bowl and pour egg mixture over them. Mix until pecans are coated. In a gallon plastic bag combine sugar, cinnamon, and salt. Pour coated pecans in bag and seal. Shake to coat. Spread pecans on prepared baking sheet and bake for fifty minutes, stirring halfway through. 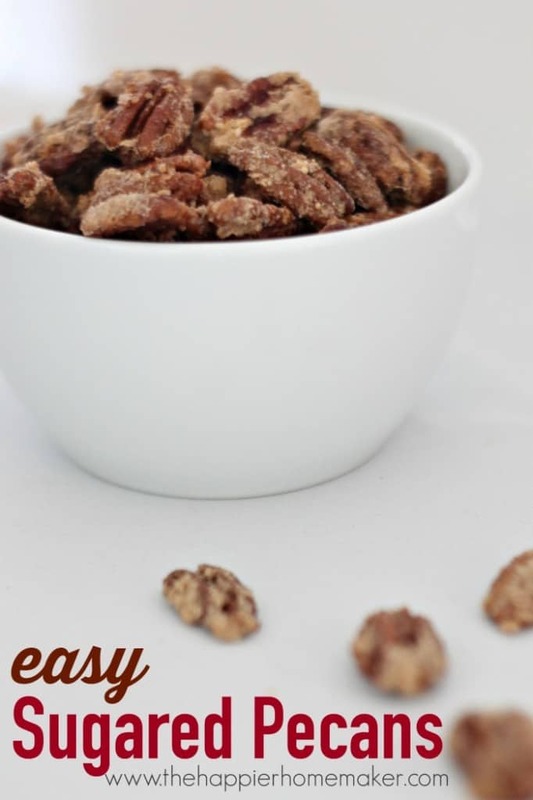 What is your favorite way to eat pecans? Let me know in the comments! next post: Ultimate DIY Gift Round Up! Wanted to let you know that this is the third year that I’m making these as gifts. They are being requested by my neighbors and family members. 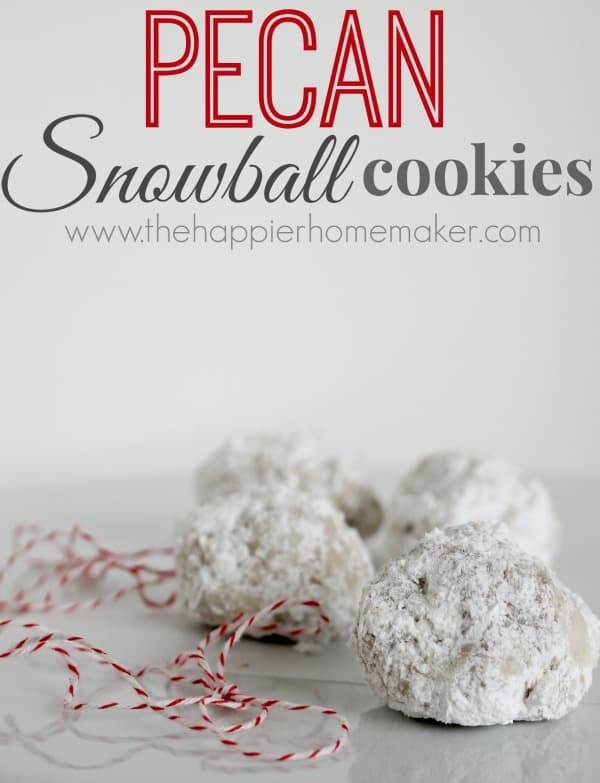 Thank you for posting such a delicious recipe that even I could follow!